Hail Varsity’s by the numbers position preview series turns its attention back to the defensive side of the ball with a look at the linebackers. Nebraska lost contributors Chris Weber and Marcus Newby but returns most of the rest of the group and adds some talented newcomers including a junior college transfer, a transfer from another Power 5 school and a pass-rushing specialist form the high school ranks. The linebacker group as a whole has to pick it up in the negative-plays department. That has to come with the almost 180-degree flip in terms of defensive mindset if Erik Chinander’s defense is going to be successful in Lincoln. No longer are the linebackers supposed to sit back and wait to make a play. Chinander, Jovan Dewitt and Barrett Ruud want their guys forcing the issue. Dedrick Young and others spoke about that change for the inside linebackers during the spring. Ruud wants his linebackers playing downhill far more than they did last season. The best example of the disparity between Nebraska’s and Central Florida’s inside ‘backers in this category is run stuffs, or tackles made at or behind the line of scrimmage against ball carriers. Chris Weber, Dedrick Young and Mohamed Barry produced 22 such run stuffs last season with Weber accounting for 12 of them. Central Florida’s linebackers, on the other hand, racked up 45 run stuffs. Pat Jasinki recorded 20 by himself and Chequan Burkett was right behind him with 19. Weber is gone, and in his place is highly-touted junior college linebacker Will Honas. By all accounts, Barry has taken a leap heading into his junior season and is pushing for a much larger role. Between those two and Young, Nebraska needs an upgrade in production. Teams cannot run up the middle at will against the Huskers any longer. Nebraska needs more playmaking from the outside linebacker position as well, but a comparison between what Nebraska and Central Florida did in terms of tackles for loss by outside linebackers reveals the same number: 20.5. If Nebraska can maintain that figure, they should be right in line with what Chinander needs from that spot. 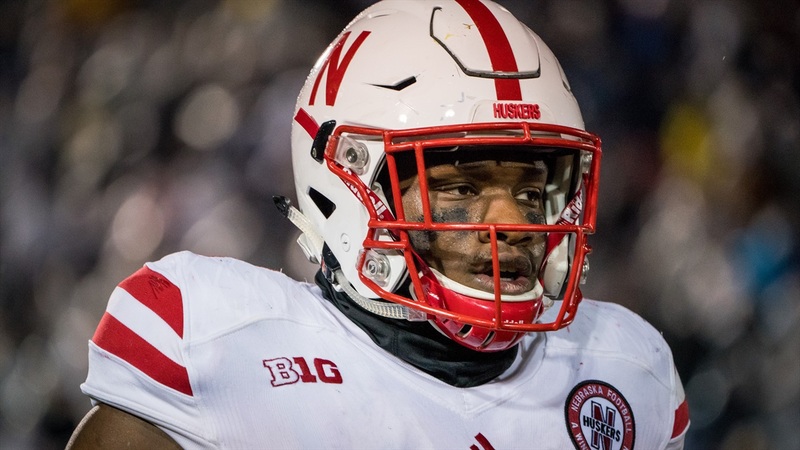 However, among those tackles for loss by Nebraska were only 6.5 sacks, four less than what Central Florida produced. That number certainly needs to improve. And looking even deeper, 3.5 of those sacks and 9.5 of those tackles for loss were made by Ben Stille who has packed on the pounds and move to defensive end full-time after splitting his snaps between end and outside linebacker last year. With Stille no longer in the equation at that position, who steps up to give the Huskers the speed and power off the edge that they need? A fully healthy season for senior Luke Gifford could be one answer. In his seven games last season, the do-it-all linebacker from Lincoln produced four tackles for loss including 1.5 sacks. Perhaps Guy Thomas can make an impact coming off his redshirt or true freshman Caleb Tannor can make an early splash. Maybe things click for Alex Davis or Collin Miller. Breon Dixon was brought in to give the Huskers some of the things Frost got from Shaquem Griffin at Central Florida. Nebraska certainly has no shortage of options. The key now is to figure out which of them can give Nebraska what it needs.